A pass first point guard with nice speed and body control. 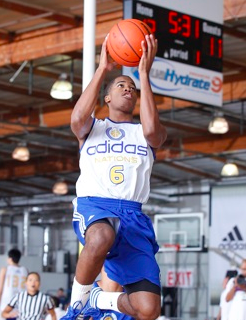 Hill has a great first step, is very crafty with the dribble and is hard to stay in front of. Gets into the lane well and is always looking to set up teammates. A pure point guard with all the qualities you look for in a lead guard including a very high basketball I.Q. and understanding of the game. Scores when needed but doesn't force shots. Gets a lot of elevation on his jump shot, has excellent form and should continue to expand his range and consistency. Doesn't have great size to match up agains the Derron Williams' of the world and could have difficulty guarding big PGs in the post. Has work to do to become a consistent three point shooter.